A native of South Africa, Henco Espag came to the U.S. in 2007 to further his musical studies at Berklee College of Music. Henco has worked on numerous projects as composer, arranger, orchestrator, conductor, accompanist, music director, and session musician. He has been commissioned by choirs to write music that received international acclaim, including an arrangement for the World Choir Games in Xiamen, China and an original composition for the National ATKV Choir Competition in Cape Town, South Africa. Henco received the Georges Delerue Scholarship for outstanding achievement in film scoring at Berklee College of Music and was also awarded two bursaries from the South African National Arts Council. He also worked as an orchestrator for the feature film The Runner from Ravenshead by Little Crew Productions. Henco was a part of the Musical Theatre Department at Westminster College of the Arts at Rider University, where he served as faculty, staff accompanist, vocal coach, and music director. He also serves as the new Music Director for Judson Memorial Church at Washington Square in Manhattan. 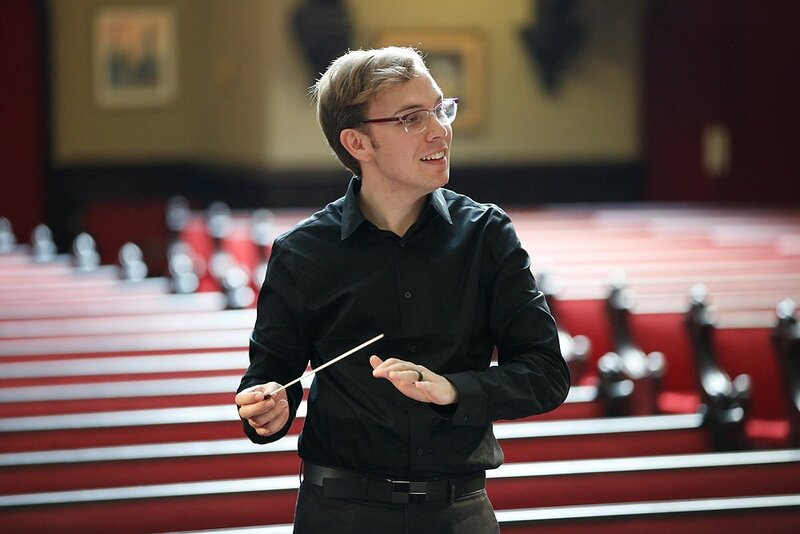 As music director and conductor, Henco has worked with directors Robert Johanson and Norbert Joerder, and performers Sally Struthers and Tony Award-nominee Meg Bussert. Henco served as the resident music director for the 2013 and 2014 seasons of Surflight Theatre, a professional regional theatre on Long Beach Island, NJ. Henco served as the Artistic Director and Conductor for the Philadelphia Freedom Band from 2011 to 2016 and was appointed as the new Music Director and Conductor for the Lesbian & Gay Big Apple Corps Symphonic Band in May 2016. Henco composed a full scale-musical that had its first public reading in the Fall of 2015 at Rider University and he is also working as composer with librettist John Olin on a new American opera. As Composer-in-Residence for the Unitarian Universalist Congregation of Princeton, Henco’s recent premieres include choral compositions On Children (text by Kahlil Gibran) and Wild Flowers (poem by Mary D. Brine). During his tenure, the Philadelphia Freedom Band premiered Henco’s compositions (Sirkusoptog, Onheilspellende Nagwandelings [solo trumpet & band]), arrangements (Dueling Percussionists [two percussion soloists & band based on The Little Drummer Boy]), and, at their Spring 2016 concert, an arrangement of Afrikaans, (South African) folk tunes with accordion.